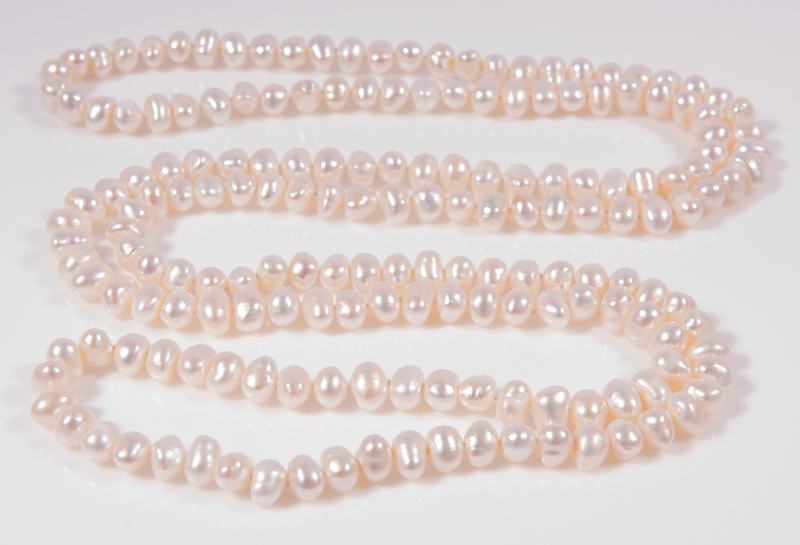 Two (2) strands Pearl Necklaces. 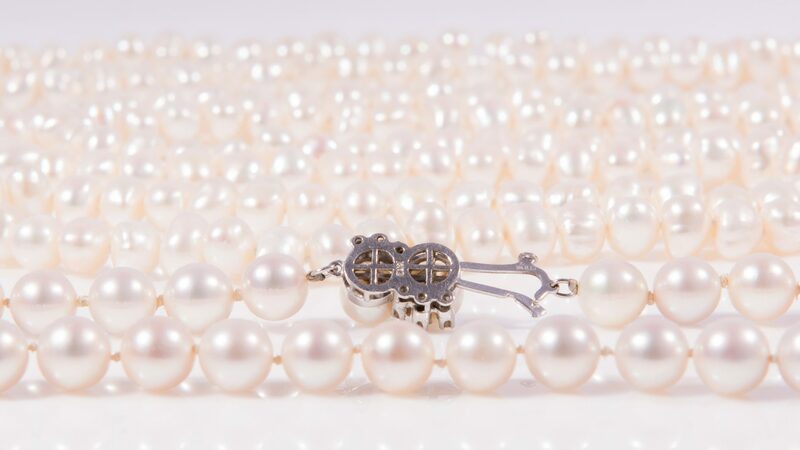 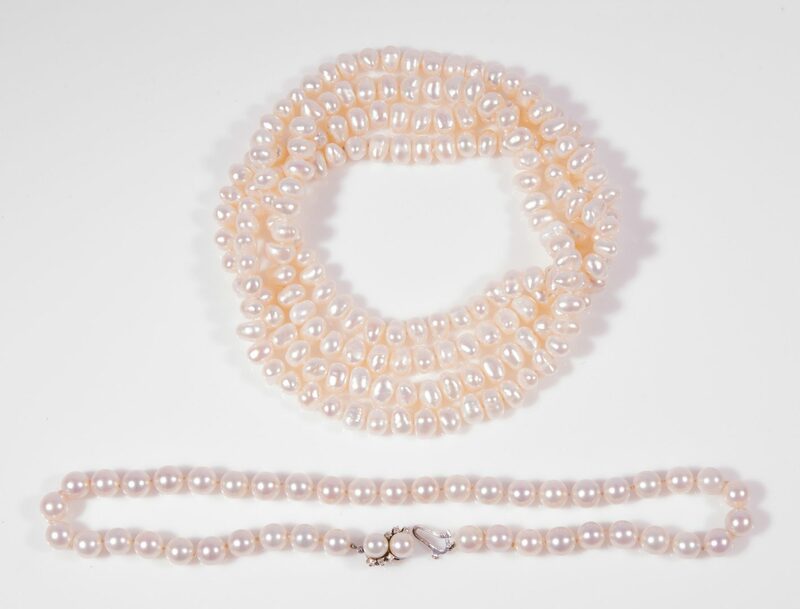 1st item: 16″ long strand 8mm x 8.4mm cultured pearls, individually knotted with 14K white gold and diamond clasp. 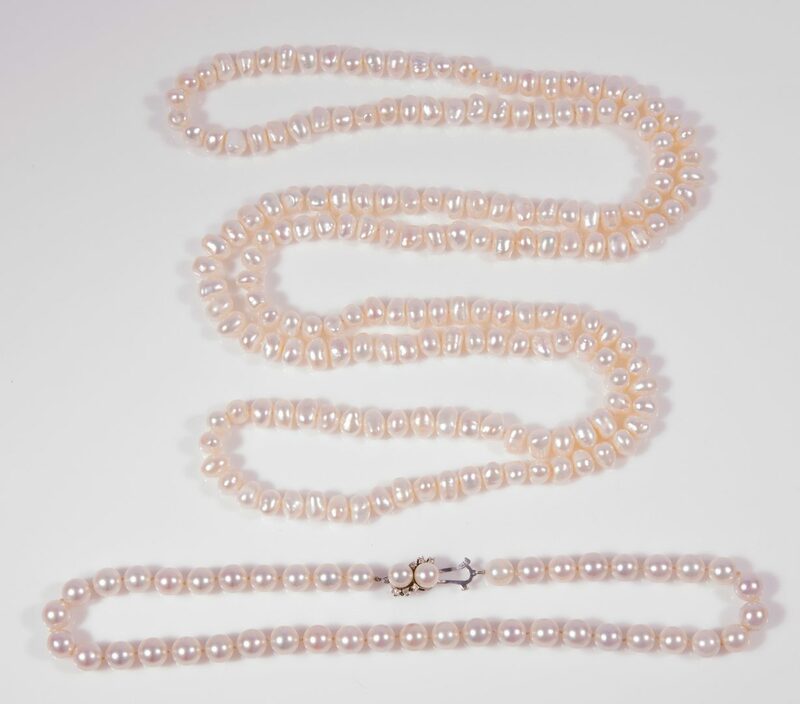 2nd item: 47 1/2″ long freshwater pearls, individually knotted strand, no clasp. 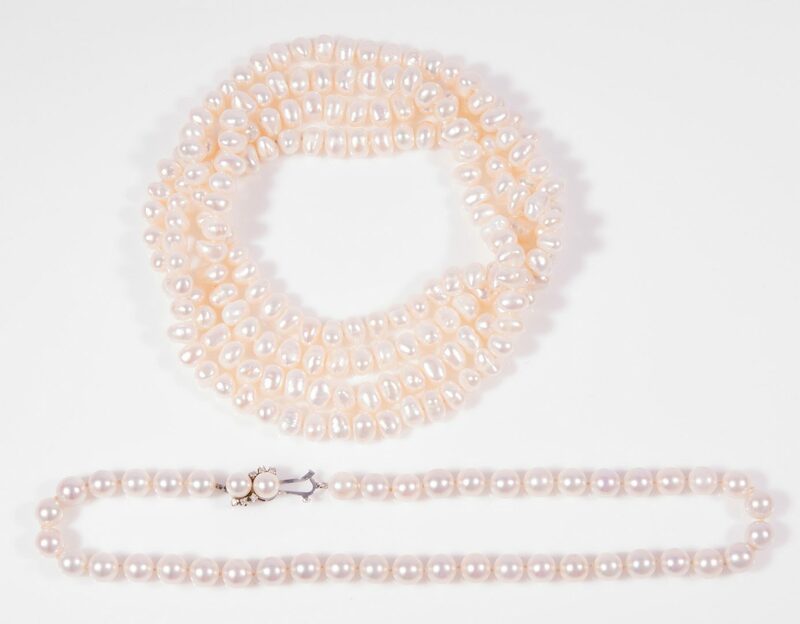 CONDITION: Both strands individually knotted and in good condition. 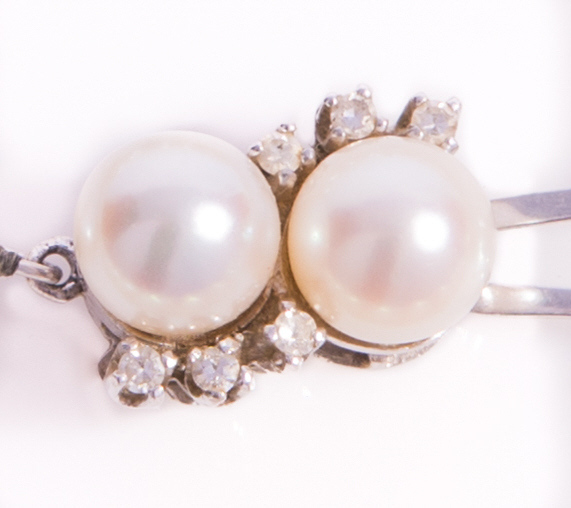 Clasp hook in 1st item needs adjustment.